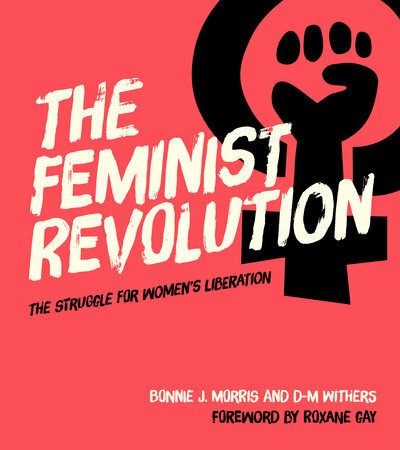 Join us at East City Bookshop to hear author Bonnie Morris discuss her new book, The Feminist Revolution: The Struggle for Women’s Liberation, declared a must-read by Oprah’s Book Club. BONNIE J. MORRIS taught women's history for 22 years at both George Washington University and Georgetown, and is now a lecturer in the Gender and Women's Studies Department at UC Berkeley. She is the award-winning author of 14 books, and a 17 year scoring reader for the AP U.S. History exam. D-M WITHERS is a writer, researcher, curator and publisher, who is currently Research Fellow at the University of Sussex. D-M's recent publications include Feminism, Digital Culture and the Politics of Transmission: Theory, Practice and Cultural Heritage, which won the 2016 Feminist and Women's Studies Association Book Prize. Curatorial projects include Music & Liberation and Sistershow Revisited.